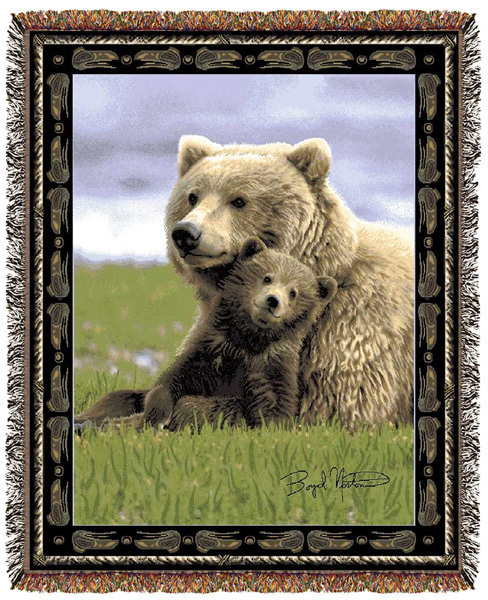 "Bear Cub Tapestry Throw" Tapestry is woven on Jacquard looms. Cotton 100%. Machine wash on gentle cycle in cold water. Tumble dry on low heat. Measures 53" wide x 67" long. Shipping ONLY within the Continental U.S. Please contact for shipping quote before buying if you live in Hawaii or Alaska. PLEASE NOTE: Shipping ONLY within the continental U.S. Hawaii, Alaska, and Puerto Rico residents please contact seller for shipping quote before ordering.